What I want to share today is more of an idea or method than a recipe. During these busy summer mornings, it's nice to have something we can quickly grab from the freezer for breakfast, but that is still homemade and nourishing. That's the need that created these breakfast burritos. It's also fun to mix it up, and add seasonal ingredients as they become available. 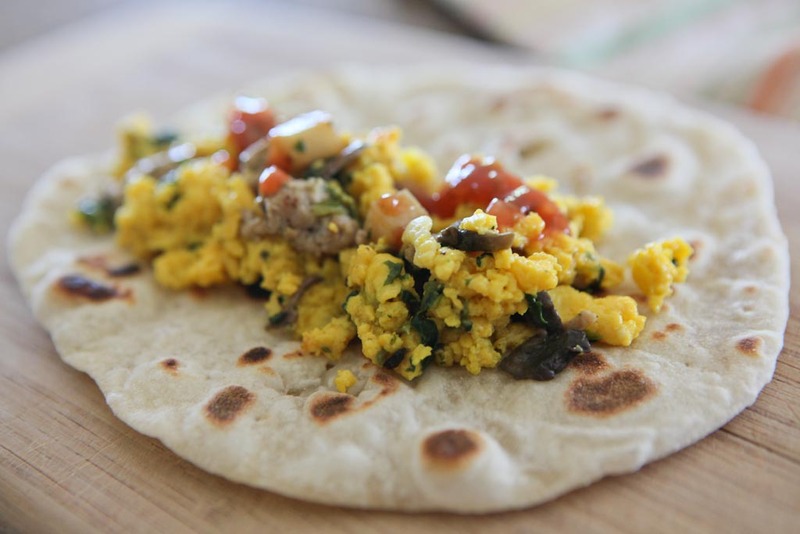 I aim to make ours completely from scratch, using both homemade flour tortillas and breakfast sausage. 1. In a cast iron skillet, cook breakfast sausage, which has been cut or formed into small pieces, until done. 2. Remove sausage and set aside. Add a little butter to the pan, and sautée vegetables until softened. Usually this includes onions, mushrooms, spinach and/or sweet peppers. I occasionally cut up small cubes of potatoes to include as well. 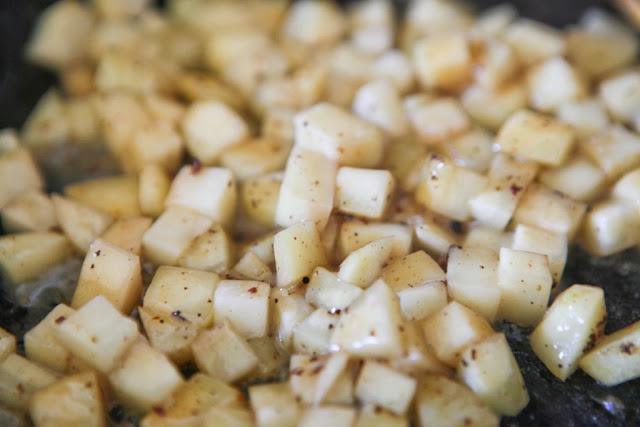 If the potatoes aren't pre-boiled, cook them thoroughly in the pan first (adding some bacon grease if need be) before adding the other veggies. 3. Remove vegetables from pan, adding to sausage. Beat eggs with salt and pepper, add to pan, cooking gently with moderate heat. 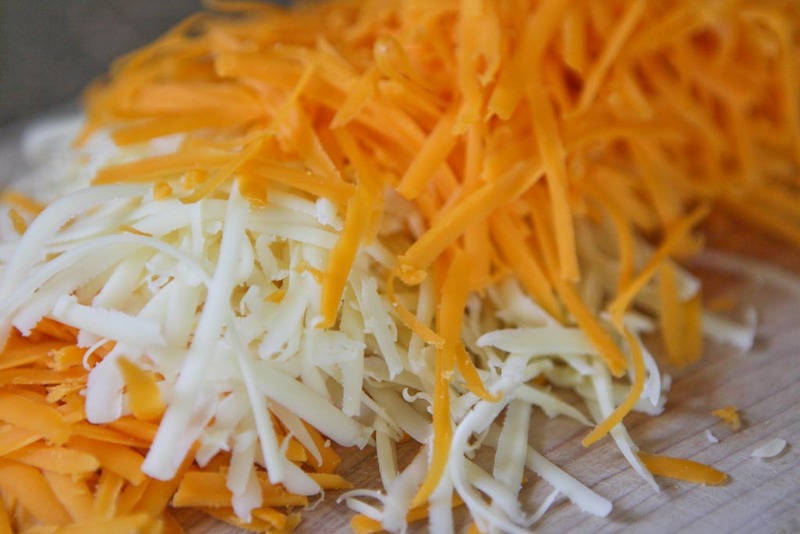 When the scrambled eggs are nearly finished, add shredded cheese. I often use a combination of cheeses, but have found more sharply flavored cheese tastes best. 4. 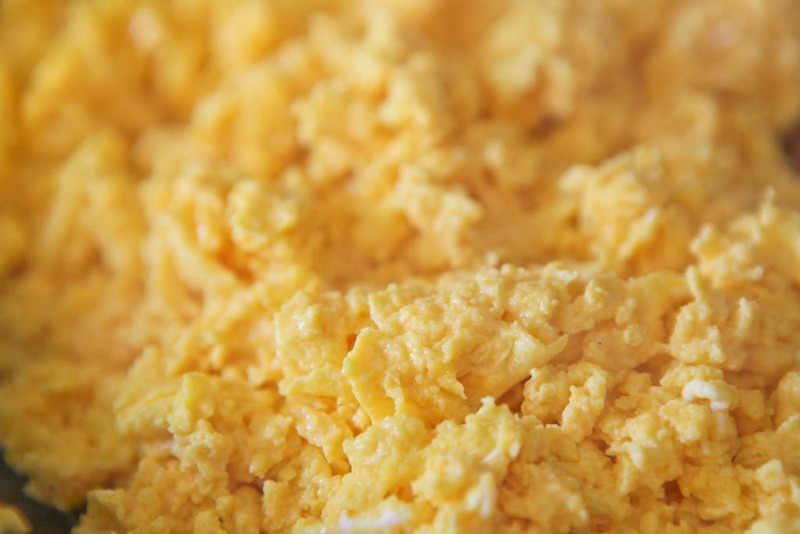 Remove eggs from pan, combining with the vegetable and sausage mixture. 5. Add mixture to tortillas, topping with picante sauce, salsa, or green chile sauce. 6. Roll them up, eat some, and freeze the rest! They can be warmed up straight from the freezer in an oven or microwave. Love those tortillas. My husband is from NM, and breakfast burritos are a staple in our home! What a great idea Jaime! i never seem to get organised enough in the morning to do anything other than cereal or toast for breakfast lately! YUMMY!!! I like homemade tortillas. And that breakfast makes me hungry all over again. I'll be makin these for sure. Thanks for sharing. Breakfast burritos are the best. Yummy! Breakfast burritos are my hubby's job in our house. He makes about 20 of them in a very nice assembly line and freezes them. Very handy to just grab and go when I have to be to work at 5AM. You have the touch! 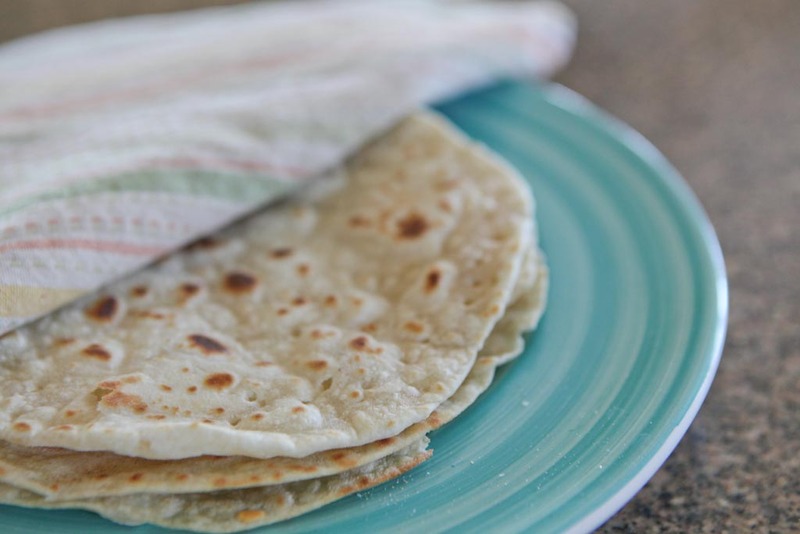 I tried making those tortillas from scratch a few times…not so good. Do the breakfast burrito freezer thing too and love it during the busy school year. Lara, I had been meaning to ask what went wrong with your tortillas? I'm very much a novice with baking, but I have made tortillas a lot, so maybe I could help? You must have been reading my mind - that is what I made this morning for breakfast before the sun came up!!! My sons grew up with them for the early bus rides into town. I could put them together and wrap in foil and they would stay nice and hot. Keeps you full and happy..